Welcome to the last installment of the four-part spring craft blog hop challenge for 2015! This hop will run from May 26th - June 20th. We're challenging each of you to create a craft project that reflects a general spring or summer theme, Father's Day, or Fourth of July. Please join us in this challenge and link-up your crafty creation at the bottom of this post and have it shared on 12 blogs! To kick off the spectacular Spring & Summer Craft Blog Hop, I'm sharing a "how to" tutorial for Learn How to Hand Paint Wine Glasses! Meet all 12 Wonderful Hosts of the Spring & Summer Craft Blog Hop 4! Each host will be sharing their own special craft to kick off the Spring & Summer Craft Blog Hop challenge, so make sure you visit each host to see their fabulous creations! Link-up your craft or DIY tutorial that fit the themes of the Spring & Summer Craft Blog Hop. Links that do not fit the themes will be deleted. DO NOT link-up posts you've shared on past Spring Craft Blog Hops for 2015. Show us what you've created and be seen on 12 blogs! Spring is in the air and summer is right around the corner, which is the perfect time to begin planning and even starting your garden. 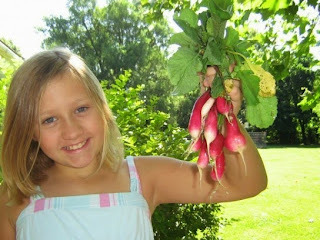 I'm excited to share the following guest blog post, 5 Steps to Creating Your First Garden with Kids, by Linda Williams! If necessity is the mother of invention, then being a mother brings out creative genius. I firmly believe “mash-up” was first uttered by a mom who was trying to keep an eye on the kids garden and prepare dinner in the same window of time. While many kids may not jump at the chance to do the laundry, gardening definitely has a certain appeal. Teach kids where food comes from by starting gardens and asking young helpers to dig, plant, water, watch, weed, and harvest with you. Here are a few of our go-to tips. Tools. One of the first things to do when gardening with kids is to get the right tools for the job. Most adults have gardening tools, but they are too big for little hands. Garden centers and even the local dollar store carry scaled down versions of gloves, rakes, hoes, pails and even wheel barrows! When I was young, I wanted to match my mother. If we were shopping and she bought a scarf, I had to have a matching scarf. It made me feel special. 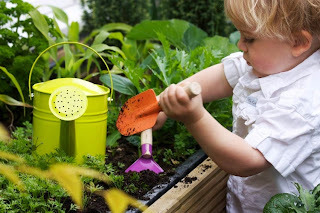 You can do the same thing when gardening with little ones. Find matching or complementary gloves, matching shovel or watering cans – the sky is the limit. 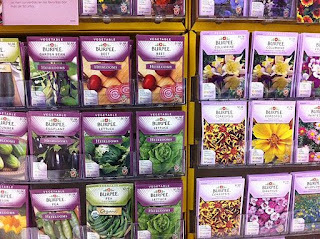 An outing to the garden center for seeds and plants is an adventure in itself. Keep to the aisles with seed racks and plants or you may be surprised when you child tries to bounce a glass gazing ball (speaking from experience here). What is your child’s favorite color, flower, or food? If possible, choose seeds or plants that match some of their favorites. My daughter loves purple and any plant that is purple gets special attention from her. 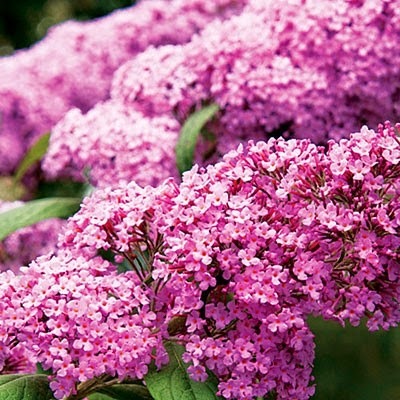 Find the perfect planting location either in a cozy corner, a raised bed, or right up front. Let kids dig in the dirt. The feel of good soil in the fingers and toes is a Zen-like experience even for little ones and getting messy doesn’t hurt either. Remember gardening can be done in swimming suits for easy clean up after. Gardening is a good time to introduce kids to the earth’s flora and fauna. Did you intercept an earthworm while digging? Explain that worms aerate and fertilize the soil so roots and plants can grow strong. Are your children amateur butterfly collectors or future bee keepers? 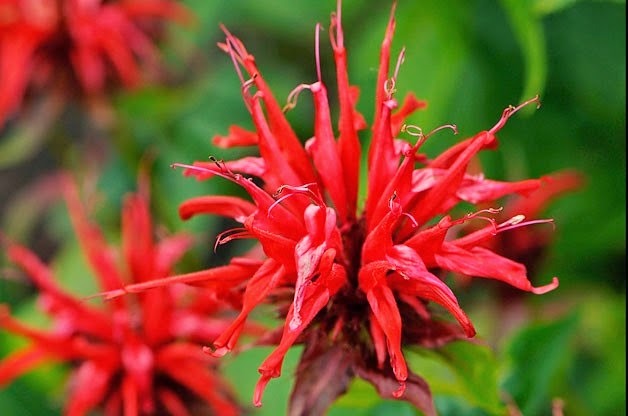 Add insect and hummingbird favorites like a Butterfly bush (Buddleja davidii) and Bee balm (Monarda didyma) to your flower garden. 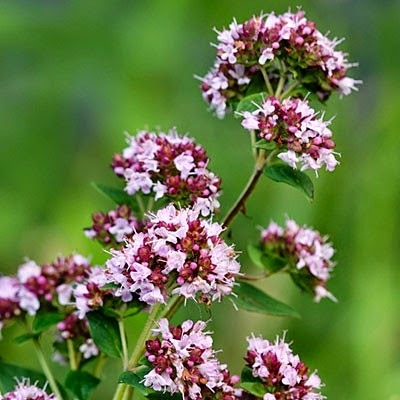 In the vegetable garden, flowering oregano, sage, and borage are also popular with pollinating bees. Teach kids that bees are too busy hunting for nectar to care about their presence in the garden. Bees and other pollinators are essential to crops and deserve respect. Just give them a little room to do their jobs. 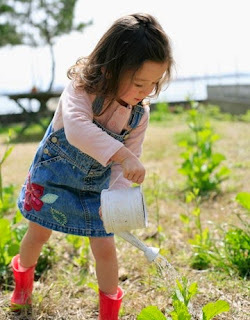 Once seeds and plants take hold, let children water and weed with you. If a plant is missed and found wilting later, explain that it needs water. Then, ask the kids to give it special care and keep track of the results. They’ll feel like garden heroes when it comes back to life. Even kids who draw the line at vegetables can’t resist trying fruits and veggies that they planted, watered, weeded, and harvested. Give them a big basket or bucket to collect their bounty. The experience will last a lifetime. For more ideas and other home inspiration, head to Modernize.com. 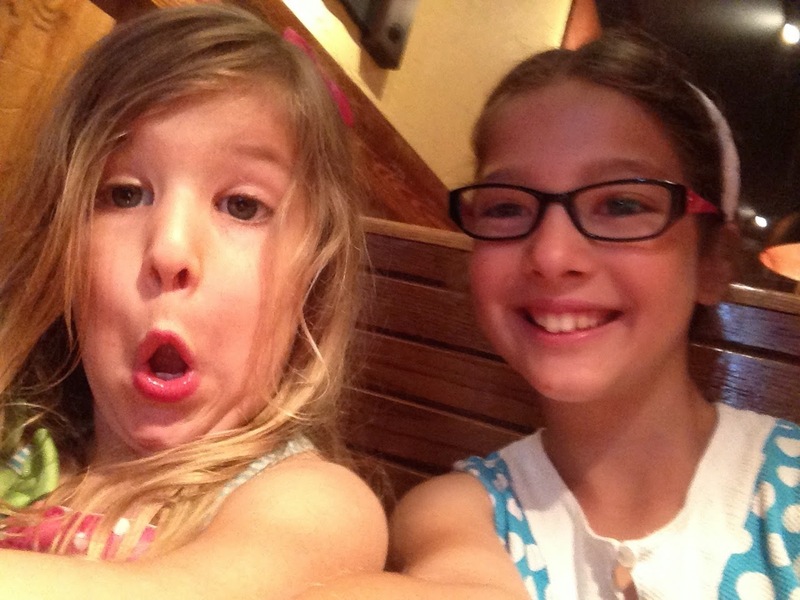 Kick off a fun family summer with the Summer Discovery Series activities by Kiwi Crate! Kiwi Crate offers hands-on kids' projects designed to encourage kid curiosity and promote new discoveries. Each Kiwi Crate kit comes with 2-3 kid-friendly project activities. The best part is all project materials and instruction are included! For the month of June, July and August 2015, Kiwi Crate will be sending unique fun summer themed projects that will inspire exciting and new adventures and discoveries for kids! Save 30% on your 1st month subscription to Kiwi Crate plus free shipping with code SUMMERFUN. Kiwi Crate mission is to inspire kids’ creativity and to help equip the next generation of innovators and explorers with the tools for creative problem solving and exploration. Kiwi Crate offers high quality award-winning activity products across four brands for young discoverers ranging in age from 3 to 16+. As per FTC regulations, this post does contain Shareasale affiliate links. If clicked on and a purchase is made, I will receive compensation. 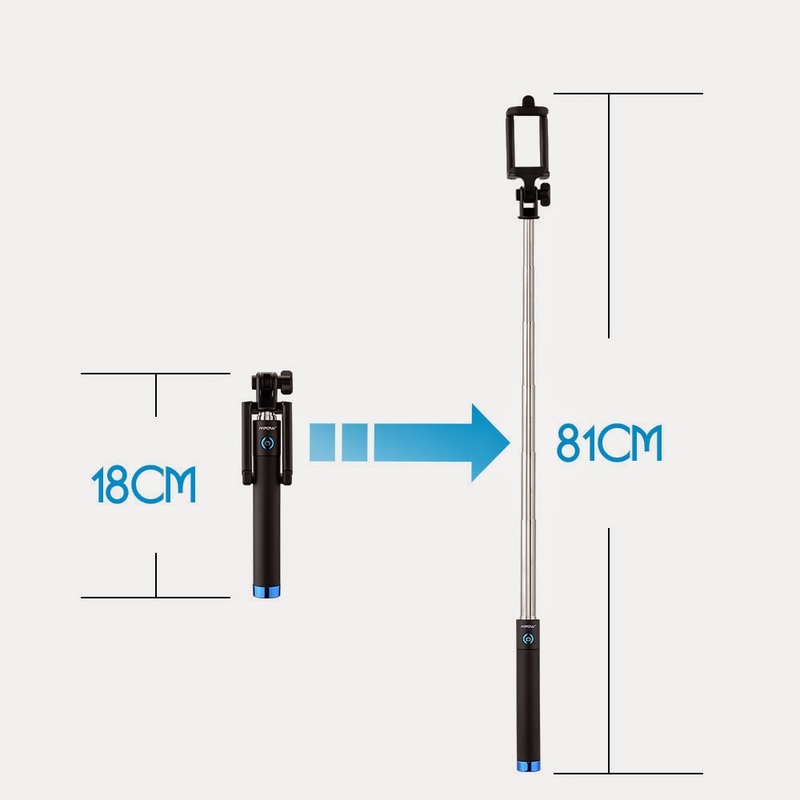 The Mpow iSnap X Bluetooth Self-portrait Monopod is one of the best gadgets on the market right now! 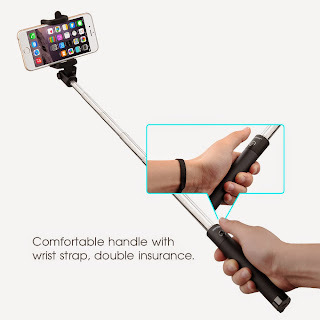 It allows you to not only take really good selfies, but also group and family pictures. I'm not a huge selfie mom, but I do love taking family pictures. A little history... most of my family vacation pictures don't include me, unless I'm able to find a random person who is willing to snap a photo. It's like I'm the invisible mom. 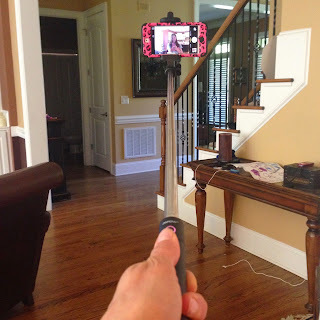 Well... for Mother's Day, I brought this Selfie Stick with me and was able to take a picture with all four of my kids with my husband and I in the picture! Woohoo! The lighting wasn't great at Outback, but that didn't matter to me because I didn't have to hunt down the waiter to take a family photo. Below are some pictures of what my life was like before using the Mpow Selfie Stick and after! I also included a video to show you how long it is, features and how to use the Bluetooth feature. 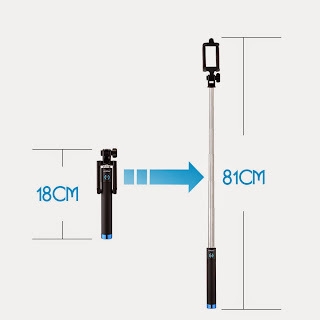 I received an Mpow iSnap X Self-portrait Monopod for free for my honest opinion without compensation. the Mpow Selfie Stick at Amazon! I can't believe summer is right around the corner. 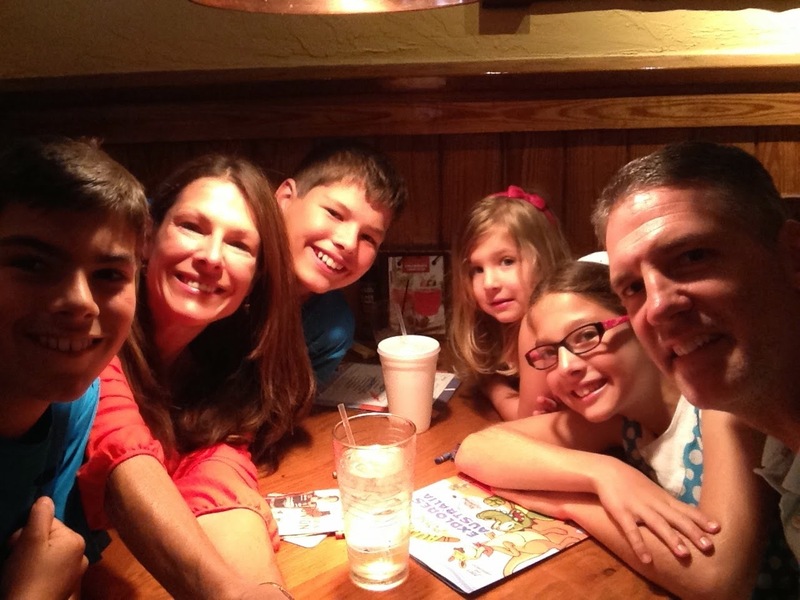 As a family, we love taking short weekend getaways. Here are 17 fun family outdoor activity suggestions, along with my family favorites in the southeast. Oh! 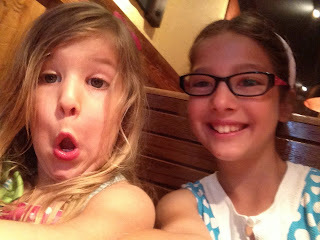 I had to share the humorous family kid picture on the left (taken at Myrtle Beach). My 3 year old wanted a sip of her older brother's frozen smoothie and he said, "No" right as I took the picture. It captures the true family personality when on vacation! It's never picture perfect, but filled with lots of fun memories! This is one of the easiest activities for a family to plan and do. There are so many hiking and walking trails. You can go to your local park or visit a National State Park. Locally, we visit Colonel Beatty Park on a regular basis. 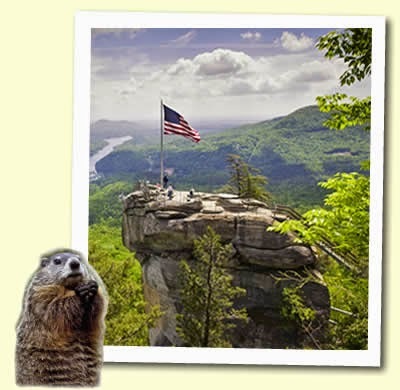 However, the following are some of my favorite hiking places in North Carolina. We don't have an MBA team here in North Carolina. But we do have a minors baseball team, the Charlotte Knights Baseball team who we support. Sometimes we even have professional soccer teams. Last year, Bank of America hosted the Gold Cup soccer tournament which I took my oldest son to see. It was amazing! 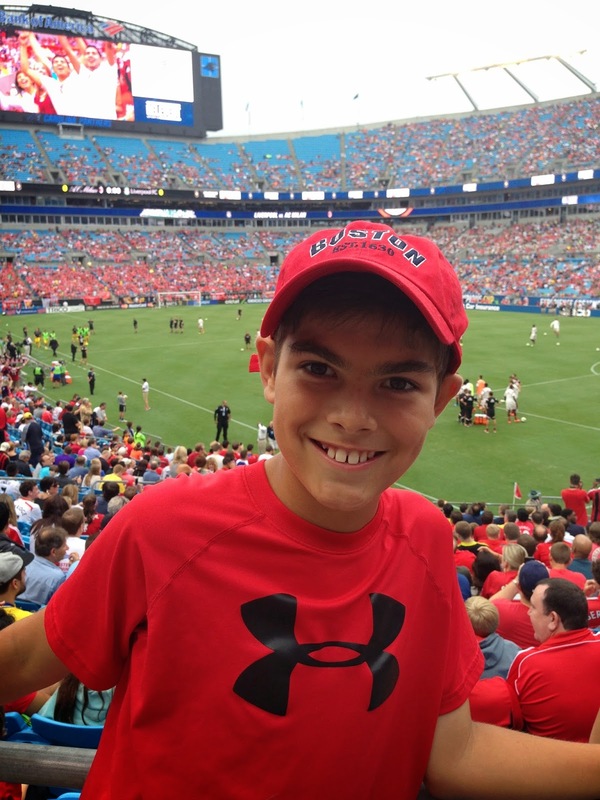 He got to see one of his favorite soccer players, Lionel Messi of Argentina. I grew up camping in New Hampshire and still love it. It's such a great way to teach your kids survival skills and nature. It also provides great family bonding time. We usually campout at a lake where you can canoe, fish, grill out, take nature walks, build a campfire and roast up some marshmallows and Smores. We usually canoe and boat on a lake or pretty good sized river. Kids really enjoy it, especially if you can boat to small little islands, park your boat and explore a bit. This is another really easy family activity to plan and do. You can have a picnic in your backyard, a local park or National State Park. All of my kids love to fish. 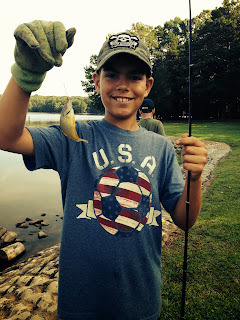 They've fished at a creek behind our house, a small pond at our local park, river and lake. Typically they'll catch a fish and then let it go. This is a huge hit with kids! The best part is kids three years old and up can actually do it. There is a U.S. National Whitewater Center here in North Carolina which offers white water rafting, kayaking, paddle board, biking, adventure rope coarse and zip lining. I went zip lining for the first time at a YMCA this spring. It was quite a rush! If you like adventure, this is a blast to do. Even if you only do it once. Zip lining has become such a hot activity that you can try it at most local YMCA's and amusement park's. Pack a backpack full of snacks and start peddling. You can take a ride around the block, to your local look or enjoy a day at the park. We've even rented bikes before. I got into rollerblading when I lived in Chicago. It provides great exercise and can be lots of fun for the family to do together. My only recommendation is to make sure you have all the safety gear such as helmet, elbow pads and knee pads. This is one of our family favorites! Here in North Carolina, we usually visit the Riverbanks Zoo & Gardens. 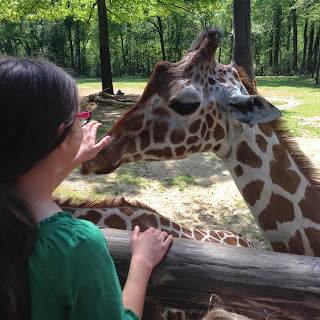 However, we've also been to the North Carolina Zoo in Asheboro. Another favorite of ours is Lazy 5 Ranch. It's a drive thru animal farm filled with exotic animals. We make an effort to take our kids to an amusement and water park every year. When we go, I usually pack a lunch and bring lots of snacks, since the cost of food at amusement parks are ridiculously priced. 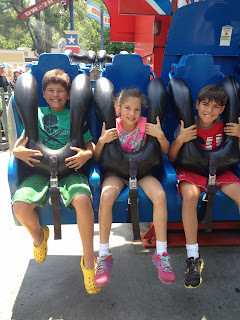 Our favorite amusement park's in the southeast are Carowinds, Dollywood Theme Park and Dollywoods Splash Country. Here in the Charlotte, North Carolina area there are bands that play every Friday and Saturday night at various shopping strips throughout the city. We'll bring chairs, bottle of wine, food and enjoy a night of dancing with the kids. Charlotte Parent provides a great list of outdoor music and movie locations for people living in southern North Carolina. We love heading to local and state fairs and festivals! There are art fairs, beer festivals, BBQ festivals, music festivals and more! Our favorites here in North Carolina are the North Carolina State Fair and Renaissance Festival. Another one of our family favorites! We started going to movies in the park when we lived in Chicago and have continued the family tradition when we moved to Charlotte, NC area. A couple of tips...make sure you bring lots of bug spray, glow necklaces and snacks! The glow necklaces help to locate your kids when they head to the bathroom. 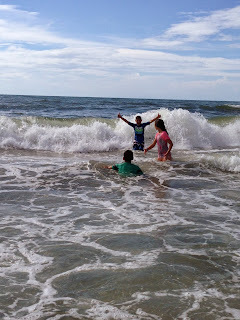 My kids love the beach! We'll spend the day swimming in the ocean and building sand castles. If we spend the night, we'll wake up early the next morning in search of sand dollars and unique sea shells. In the southeast, our favorite beach spots are Myrtle Beach and Hilton Head. You can golf, swim, build sand castles, dig for crabs, sail, whale and dolphin watch, snorkel and shop. I love spending a weekend in a log cabin at a lake. Especially a lake that's surrounded by tree's to help provide some shade from the heat of the sun. 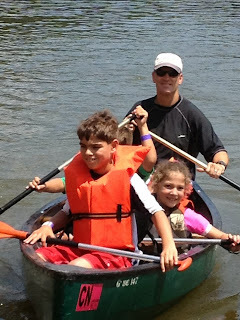 What are you family favorite summer activities? My facial skin has really changed since I've hit my 40's. I'm finding that I need to moisturize more often and use anti-aging creams to help my skin appear more youthful. 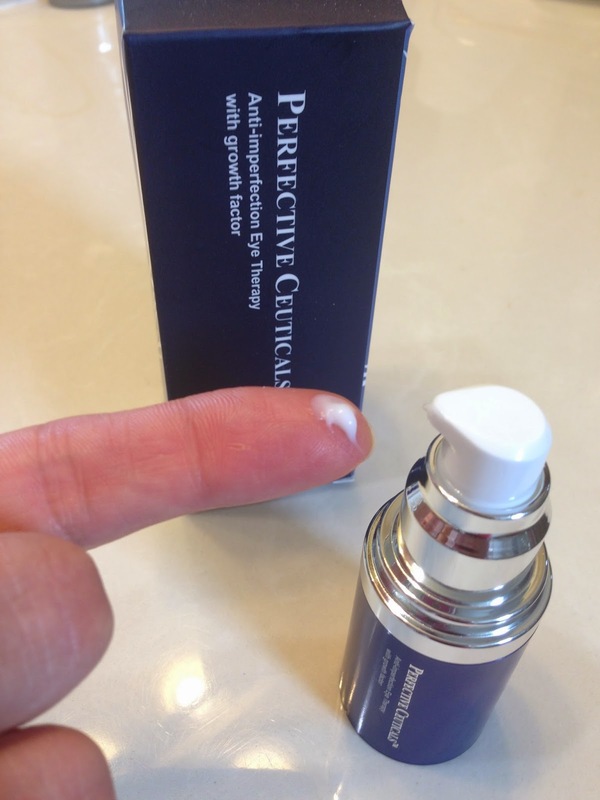 As a Tomoson reviewer, I was given the opportunity to review Perfective Ceuticals Anti-imperfection Eye Therapy with growth factor from Perfective Ceuticals for my honest opinion. This anti-aging, wrinkle cream is a skin care eye product that contains both Collagen and Elastin stimulators to help reduce fine lines, improve firmness and prevent formation of wrinkles. The eye therapy cream came in a very attractive packaging with simple instructions. All you need to do is wash your face with a facial cleanser and then apply a pea-sized amount to the over and under eye area twice a day. I've been using this product for two weeks now. So far, the under area of my eyes feel softer and look more hydrated. I haven't noticed any reduction in fine lines as of yet. And when I do, I will update this post! Most products like this take time to rebuild aged skin. Perfective Ceuticals Anti-imperfection Eye Therapy is priced to compete with top brands such as Rodan + Fields and Skinmedica. A little pricier than your department store eye creams, but if it does what other Amazon reviewers have shared, then I'm willing to pay a little more for an eye cream that will help reduce fine lines, prevent crows feet and give my facial skin a youthful appearance. Overall, I'm pleased with my eyes feeling softer and appearing more hydrated. For more information about Perfective Ceuticals Anti-imperfection Eye Therapy with Growth Factor and additional skincare products by Perfective Ceuticals visit Amazon or Perfective Ceuticals. Title: Fish Also Go To Heaven | Author: Tammy Brown Elkeles | Illustrator: Raquel Afonso | Publication Date: October 28, 2014 | Publisher: Independent | Pages: 42 | Recommended Ages: 4 to 8 Summary: Fish Also Go to Heaven – A unique optimistic view of a loss of a loved pet. Ellie’s best friend is her little goldfish. Spending every moment she can with him and telling him all her secrets. And at school she talks about him all the time as well. But one morning little “Fishie” is not moving…. Like all children, Ellie loves her little pet, Fishie. Sometimes young children are confronted by the realities of life that no one lives forever, especially little fish. How will Ellie and her mother handle the situation when Fishie is not moving one morning? After trying to spare Ellie the pain and replacing Fishie by a similar fish, after a while the new fish jumps out of his fish bowl. Mother must now teach Ellie about one of the most basic facts of life. What happens to fish when they die? Are they OK wherever they are? Will we ever see them again? How will Ellie handle the loss of her goldfish? How will mother help Ellie with her loss? 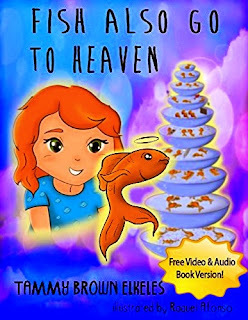 Fish Also Go To Heaven offers kids a lesson about the facts of life and death in a unique optimistic way that will make it easy for them to handle similar loss. The book will help parents of tender children discuss the subject of loss with their kids and ease the grieving process for those who are faced with such loss. This children’s book is suitable for a read aloud bedtime story for preschoolers or as a self-read for older children.